Air conditioner breakdowns are often unexpected and they tend to occur at some of the most inconvenient times! Our North American Technicians Excellence (NATE) certified technicians can quickly diagnose and repair problems with any type of home air conditioning system to get your central air working again. Our friendly technicians are committed to providing our customers throughout the Greater Indianapolis area with quality, affordable air conditioner repair service. Our service trucks are fully stocked for repairs and all our technicians are professionally factory-trained, nationally certified and state licensed. We offer 24/7 Service, work on all brands and models. Call us anytime for repair or service. Looking for Indianapolis air conditioning repair, Call our emergency service line (317)262-4070 to schedule one of our local Indianapolis friendly repair techs now! Whether it's after business hours, over the weekend, or even on a holiday, it's no problem! We offer emergency service 24 hours a day, 7 days a week, 365 days a year. Our affordable maintenance agreements will help keep your heating and air conditioning equipment operating efficiently at peak performance, helping to prevent major breakdowns before they occur, and maximizing its life expectancy. As an added bonus, you also enjoy priority service and discounts on services Click here for more information. 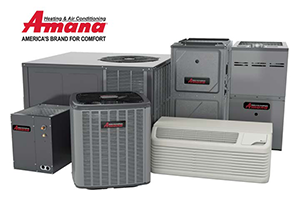 If you need a new AC system, our technicians will help you choose a new, Lennox energy-efficient replacement unit that will provide excellent cooling to keep your family comfortable and save you money on your cooling costs. We do a complete evaluation of your home's cooling requirements, then design the best system for your home to fit your budget without sacrificing performance or quality. Call us today for a free estimate and consultation. If your air conditioning system is 10 years old or older and is chronically unreliable, installing a new Lennox energy efficiency air conditioning system can save you money every month in reduced energy and repair bills. Aaron York's Quality Air offers a complete line of 13 to 26 SEER rated high efficiency air conditioning systems that can reduce your utility bills and keep you cool all summer long. Please give us a call today to find out more about how we can help you save money and schedule your free in-home consultation on a new high efficiency central air system. When only certain rooms need heating and cooling, Lennox Ductless Mini-Split heat pumps and air conditioners provide a smart, flexible solution. Mini splits have no ducts, which not only make them more efficient but easier to install.